Master the fascinating and rewarding game of American Mahjong with this guide for beginners. This easy-to-follow, comprehensive book teaches players how to overcome common difficulties and provides the knowledge to sharpen strategic skills and increase win ratios. By showing beginners how to see and utilize different strategic elements and scenarios, players learn how to elevate their skills. 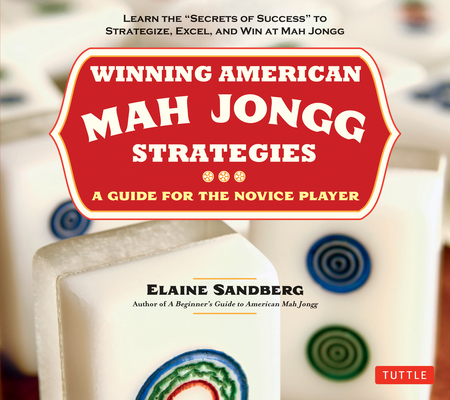 Winning American Mah Jongg Strategies is a gem of a book that is the perfect gift for Mahjong players of all ages. Elaine Sandberg has been a mahjongg instructor for many years. She has taught American mah jongg for Holland America Cruise Lines, and currently, teaches classes in the Los Angeles area. She is the author of A Beginner's Guide to American Mah Jongg.